Stanley Gate Hardware - Spokane Hardware Supply, Inc.
We're now carrying in stock, Stanley decorative gate hardware. We carry both hinges by themselves as well as sets. 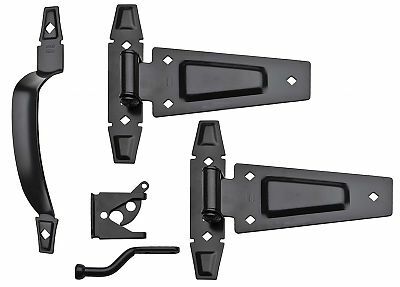 The sets are at an affordable price point & they take the guesswork out of trying to match handles to hinges. Take a look!